The average American woman has 103 items in her closet and considers 21% of it unwearable. Having too many options provides more room for error. It leads to choice paralysis and a confused style. Wearing the wrong clothes can make you appear heavier than you are. Your fashion choices can also make you look older and tired. Implementing even small changes can have a big impact. If you’re asking yourself how to change your style, follow these three simple steps. Get out all your clothes. Throw them on your bed, and review every piece. Figure out what you actually like and get rid of what you don’t, even popular or classic items. More is excess in your closet. The most fashionable women have a rotating capsule-style wardrobe. Consider your body shape and your skin tone. There are resources online for flattering both. Dress the body you have, not the body you want, and you’ll feel better about yourself. Sit down and think about what you want your style to say about you. Choose a handful of adjectives that describe the look you’re going for. Every time you go shopping, run each new piece through that filter, and don’t buy what doesn’t qualify. Even if it’s on clearance at Target. Or Nordstrom’s. Or a great deal online. We live in the age of access. Instagram is full of influencers posting their daily outfits. Browse some hashtags (#ootd, #styleoftheday) and start following women whose style you admire. They even list shopping details so you can buy exact pieces or shop your closet for similar items. Pay attention to the way style bloggers layer their clothes and pair shoes with their looks. New footwear is a wardrobe changer. Be inspired by celebrities, especially women with your body type. They have professionals making their choices seem casual and effortless. Rip pages out of magazines or take screenshots to create mood boards. If you’re timid to make a big change, start small. Add one avant-garde piece from an accessible collection like Jacquemus. Find a statement accessory like Caroline’s necklace in 2 Broke Girls. Start wearing your signature look often. The more you wear something on purpose, the more it will become your go-to. Cher Horowitz was Clueless about plenty, but she was right about mirrors. They do lie! To get an accurate assessment of how a new silhouette suits you, you have to see pictures. Have a friend photograph each of your looks from different angles. Review the pictures after a couple days, and pretend you’re looking at someone you don’t know. Would you admire the outfit on a girl you don’t know? Establish what’s flattering and what’s not. If something doesn’t work, try again. The key is to be loose with your expectations. Don’t get so attached that you’re not willing to edit when you need to. The whole purpose of fashion is to express yourself. Wearing what you love will give you more confidence. Actual clothes go in and out of fashion, but confidence never goes out of style. Be kind to yourself, and have fun. It’s like weekend homework from the cool teacher. Are you ready to shop your closet and change things up? 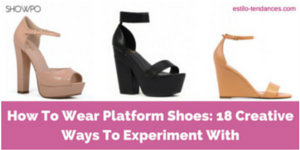 Stop wondering how to change your style, and start experimenting. It’s hard to go wrong when you find the right inspiration and stop taking yourself too seriously. We can help you with the inspiration part! Check our style blog for tips and how-tos. We’ll help you figure out how to wear what you have and buy what you don’t.